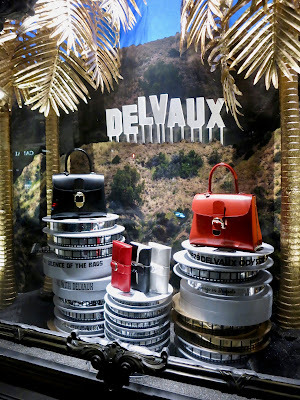 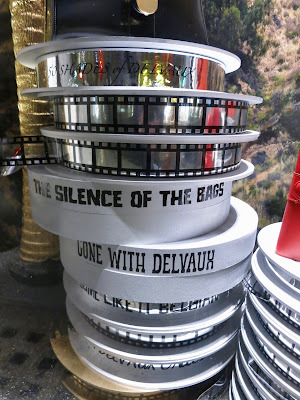 Delvaux have done it again with a bit of 'old school' and a corker of a scheme. 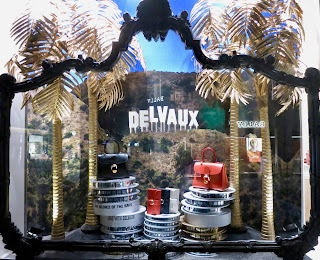 References to Hollywood and vintage movies complete with Golden Palm trees fill the space here at their Bond street store. We don't know who produces these schemes however great to see a bit of much needed humour in windows right now.